In your future planning for your child with special needs, remember to consider income taxation of special needs trusts, including Qualified Disability Trusts (QDTs). 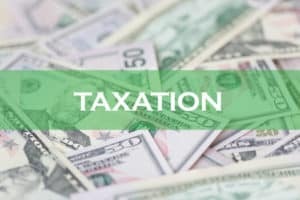 If you set up a special needs trust (“SNT”) with another law firm, the attorneys may not have discussed how to file taxes for that trust and how much it might owe. It matters whether a trust is a QDT because QDTs may receive different tax benefits. Usually, trusts considered “complex” can take only a $100 tax deduction under IRS rules. The special QDT rules used to allow a trust that meets all the QDT requirements to take a deduction equal to the amount of the personal exemption. In 2017, the personal exemption was $4,050. As you may have heard, the changes to the tax laws effective in 2018 eliminated the personal exemption in favor of increasing the standard deduction. But fortunately, a new law allows QDTs to take a $4,150 deduction when the personal exemption is $0. This is great news for people who benefit from QDTs, as their trusts will still get the yearly deduction. The law even allows for an increase in the $4,150 deduction amount every year. In short, qualifying as a QDT may help a trust save thousands of dollars on taxes each year because of the available deduction.